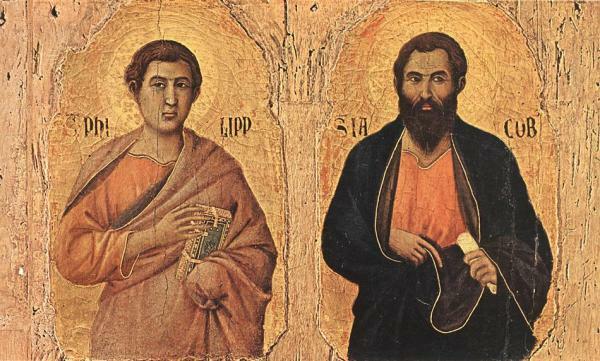 God our Father, every year you give us joy on the festival of the apostles Philip and James. By the help of their prayers may we share in the suffering, death, and resurrection of your only Son and come to the eternal vision of your glory. We ask this through our Lord Jesus Christ, your Son, who lives and reigns with you and the Holy Spirit, on God, for ever and ever.